Is it possible to send an email to a field that was filled out in the same form? I need to send the form submissions to multiple email addresses. The first email address I need to send to is constant, the second one is a field on the form. Is this functionality possible? Thanks for contacting. I'm not sure whether this can be possible in Jotform crrently but i have a workaround. 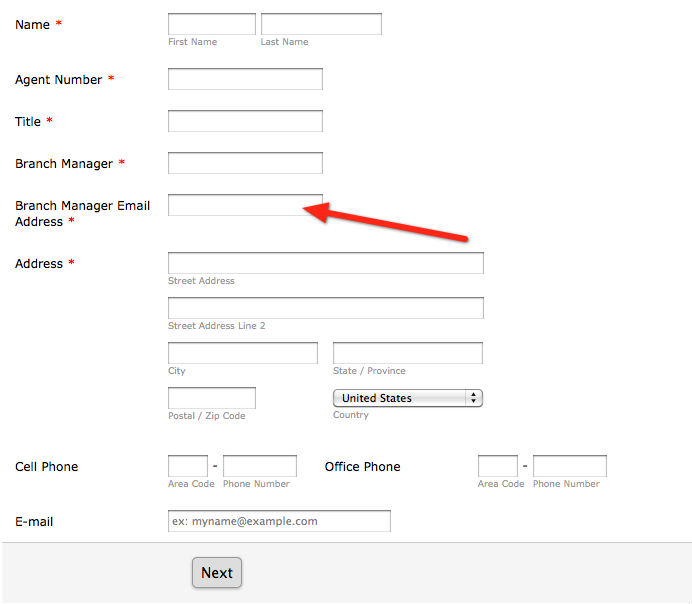 If the branch manager email address entered above is the same as submitting person's email, then you need to set an auto-responder in your form. Hope this information will be helpful to you. Incase you have any other concerns, please feel free to contact us.